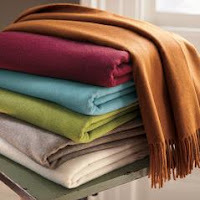 Beautiful colors in these generously sized fringed cashmere throw blankets. Originally $298. From Garnet Hill.